Aukjan · Tell me, what am i doing wrong? Aukjan Tell me, what am i doing wrong? Ansible inventory generated from Terraform. Outlook on Mac does not open. Start outlook while holding down the option (alt) key. 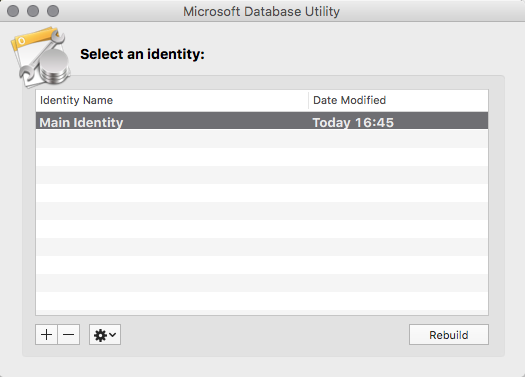 This brings up the ‘Microsoft Database Utility’. Select the correct identity (probably Main Identity). Now press the Rebuild button. Wait until completed, and start Outlook normally.